The minor (child) power of attorney allows a parent give full control over the decisions made for their child for a specified period of time (usually lasting six (6) months or a year). The form does not need a reason why the parent is deciding to give power over the minor but at the expiration, in order to keep the relationship valid, must be renewed. 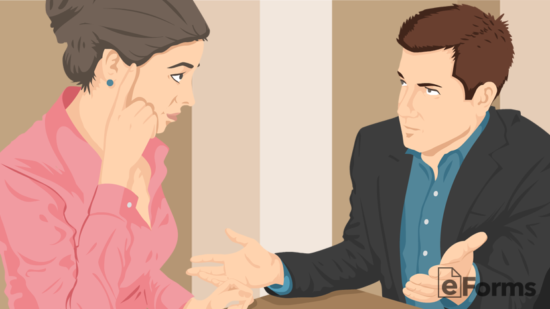 Depending on the State the document may need to be authorized in the presence of a notary public or two (2) witnesses with no blood or marriage relation. What is Power of Attorney for a Child? A parent should create a Power of Attorney for Child in the event they are unable to care for their kid. This document is not intended for long-term use, but rather on short-term occasions when a parent will be away from their child, for instances like a business trip or vacation. When a parent falls ill and is unable to think for themselves, this form allows for a person of their choice, typically someone who has a close relationship with their family and the child, to make the decisions necessary in order to care for the child. A Last Will and Testament should be used for long-term guardianship of a minor. Any other reason where the child would need a trusted individual to make decisions on the parents’ behalf. Getting power of attorney for a child is a process that requires the parent’s consent and commonly may only be used for a temporary amount of time (6 months to 1-year). For any long-term arrangements the law will require the parents go to the court and file guardianship papers. First and foremost is select someone you trust to be around your child and make everyday decisions on your behalf. This person will be responsible for the child’s diet, exercise, and to promote good study habits if it’s during the school year. Therefore, it is best to elect someone who is healthy with discipline and structure in their life to be a good example. After the Agent has been selected the parent will need to choose the timeframe. If longer than 6 months or 1-year and the parent may have to file for guardianship depending on the Laws in the State. The parent will have to write the rights the Agent will have over their child. If the child is going to be staying with the Agent for more than a week the powers should be unlimited. As a basic necessity the form should include the permission to pickup the child from school along with helping to attend if the child should need medical care. The signing requirements are usually located on the bottom of the State-Specific Form. 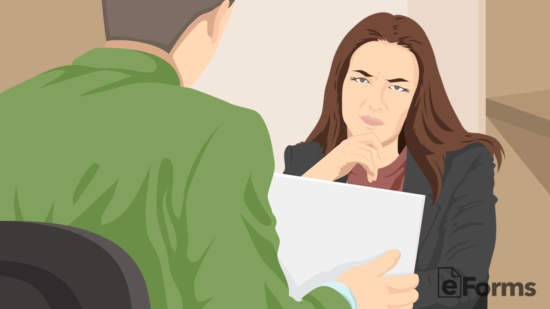 In most cases, the State will require that the parent authorize with the Agent selected in the presence of a notary public or two (2) witnesses that are not related to either party. The form must be presented every time it is used for the child. Depending on the situation and institution, an original copy may be required. The first step to completing the form starts with entering the name of the child and parent(s). In our example, only one parent signed the form, however, both parents can be co-guardians. The Attorney-in-Fact (Agent) should be someone who has a relationship with the family and lives in close proximity. In our example, the Agent is the Uncle of the child and lives nearby within the same city. 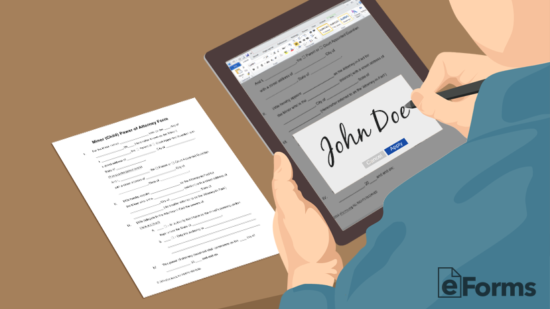 Enter the Agent’s name, relationship to the minor, and home address. There are two options to choose from: Delegate all powers/authority to the agent or only give specific authority. The Guardian(s) need to initial and check their preferred option. If granting specific authority, give a description of the power(s). 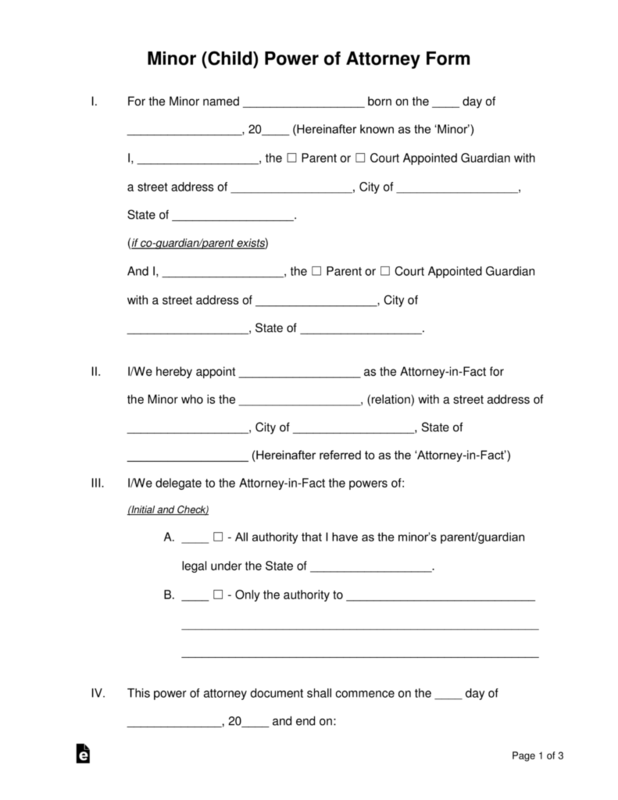 Enter the date in which the Power of Attorney for Child will commence and follow by selecting how or on what date the document will terminate. In our example, the Power of Attorney for Child has a specific start and end date. Enter the state in which the Power of Attorney for Child will be governed, the state is most often the same state in which the minor lives. The Guardian(s) need to sign, print name, and date the Power of Attorney for Child form in order to be valid. The agent must confirm their acceptance of being the child’s temporary guardian which is mandatory the agent sign, print name, and mark the date. 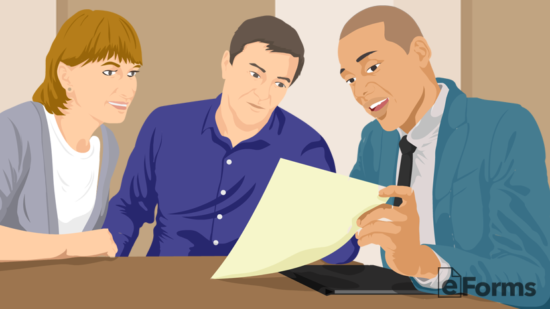 Even if your state does not require two (2) witnesses to sign the Power of Attorney for Child, it’s still a good idea none the less as a number of states do require. 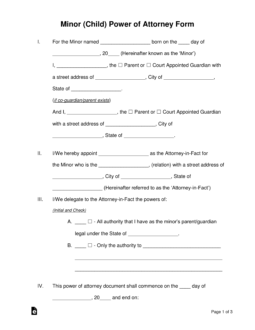 Have both witnesses sign, print name and date the form. Having the Power of Attorney for Child signed by a Notary Public is the last step to making the document officially legal. 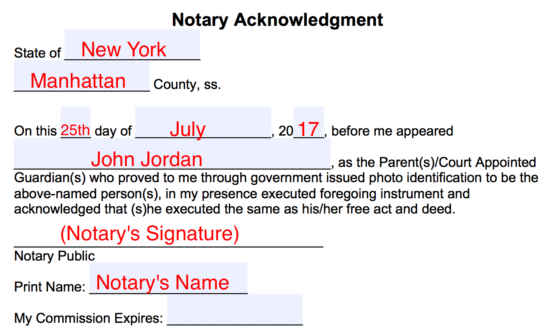 You can usually find a Notary Public to sign for free at your local bank.